Overhead lines are a common feature of our landscape. Some people detest them, but they are the only economic way to get mains electricity to remoter parts of our country. 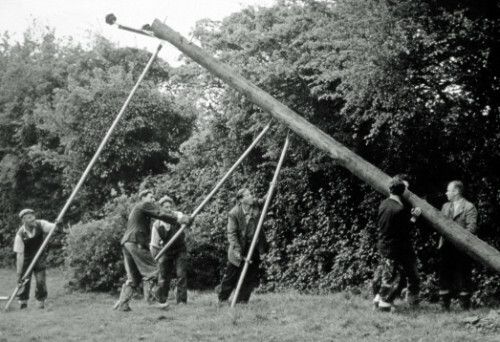 Except in the inner cities, overhead lines were the “pioneers” of electricity distribution. SWEHS 7.0.025.jpg – Date 1910 – Hayle to Carn Brea line. Cornwall, Hayle . 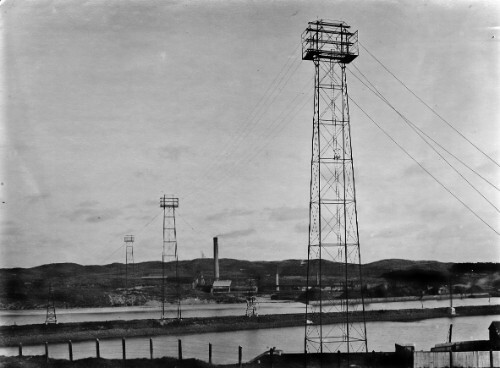 SWEHS 7.0.026.jpg – Date 1911 – Hayle River tower crossing under construction. Cornwall, Hayle . 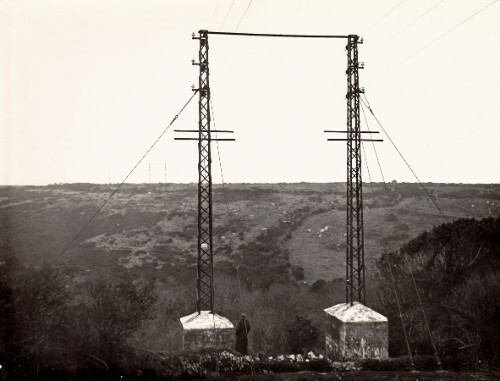 SWEHS 7.1.112.jpg – Date 1911 – The angle pole of the 10kV dual circuit from Hayle to Nancledra. On left is connection to St Erth Dredge. 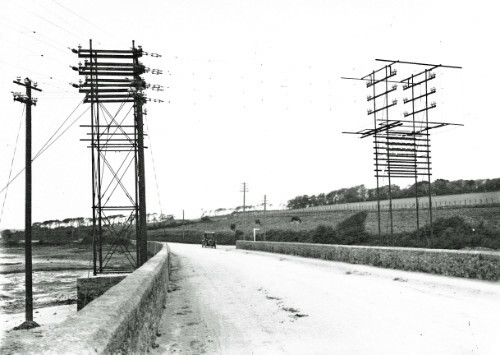 Cornwall, Hayle Causeway The telephone wires below the cradle guard include cable land lines between London and Portcurno and London and Sennen..
SWEHS 7.0.068.jpg – Date 1923 – North Street Generating Station. 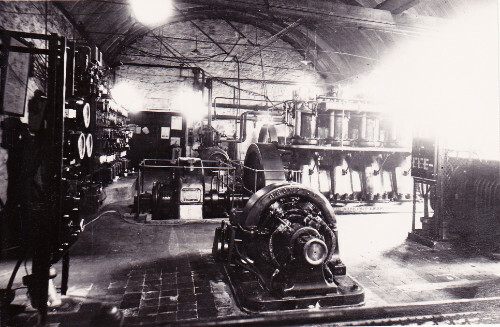 Commenced supply 1886 – (Mr Veale) 220/100 volt direct current, 1930 – 230/110 volt alternating current 787kW. Buildings demolished. Cornwall, St. Austell . 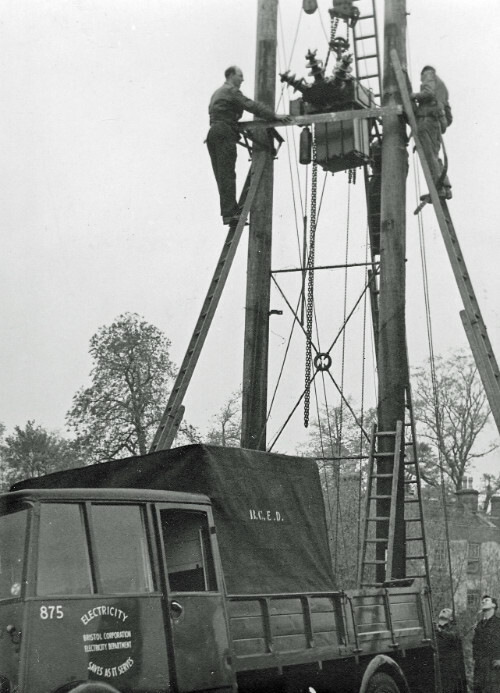 SWEHS 3.2.188.jpg – Date c1930 – Overhead line work on low voltage balancer. Bristol, Unknown location . SWEHS 7.0.030.jpg – Date 1930s – Valley crossing. Cornwall, Trevaylor . 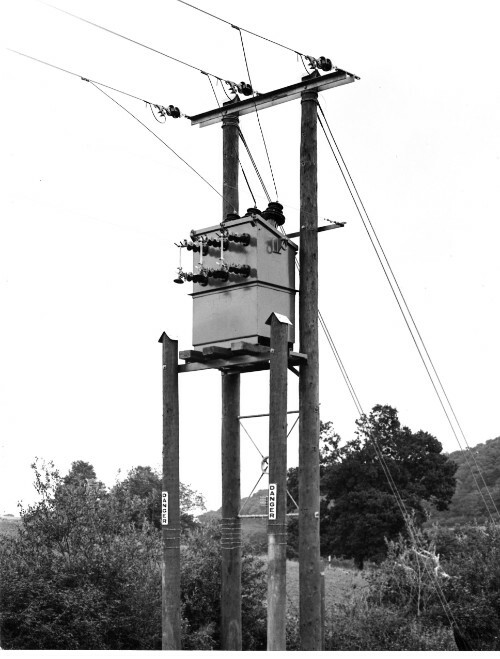 SWEHS 18.1.042.jpg – Date c1930s – ‘H’ type overhead line terminal pole with fuses and cable termination box. Devon, Torquay . 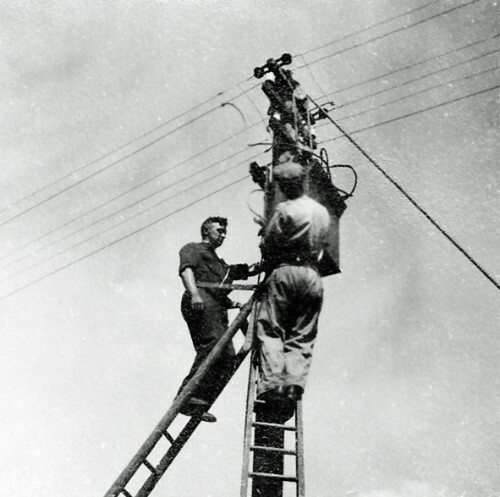 SWEHS 3.1.057.jpg – Date 1937 – Working on an 11kV overhead line installing a transformer. Bristol, unknown location . 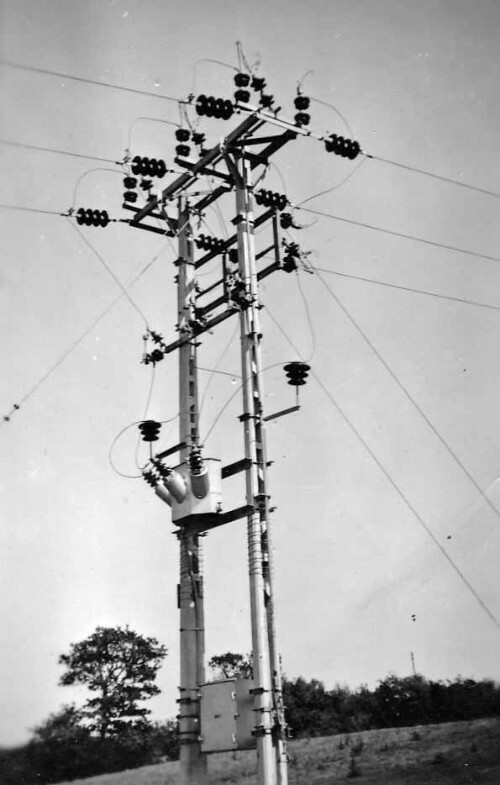 SWEHS 7.0.091.jpg – Date c1940’s – Installation of 11kV wood pole already dressed with cross arm and pin insulators. Unknown . 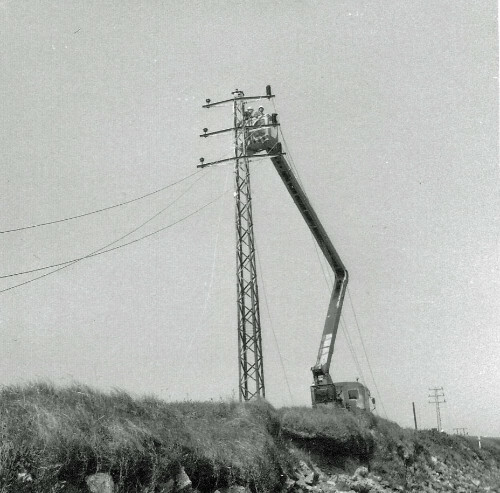 SWEHS 7.1.042.jpg – Date 1949 – 10kv line works on Nancledra to Heamoor (Penzance) line at Trevaylor Valley. 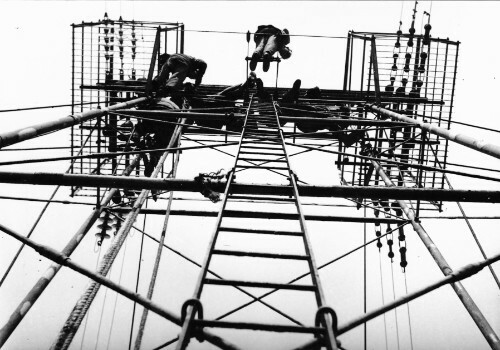 Changing lattice tower. Cornwall, Trevaylor Valley . 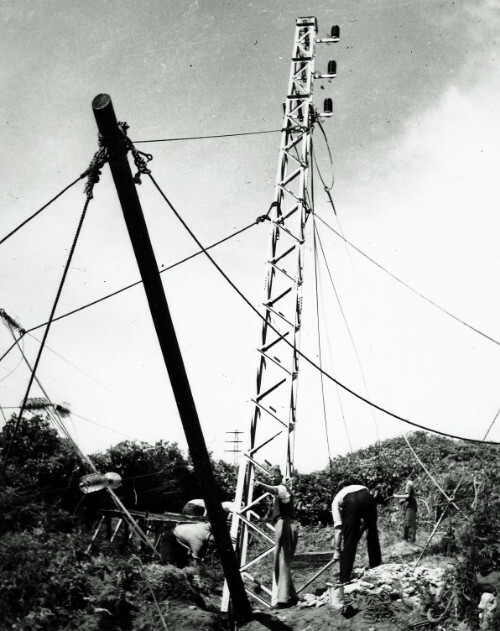 SWEHS 7.1.044.jpg – Date 1949 – Foreman Donald Hollow looks down from tower. The rope of bosuns chair used for work on the legs is on the left. Cornwall, Hayle . 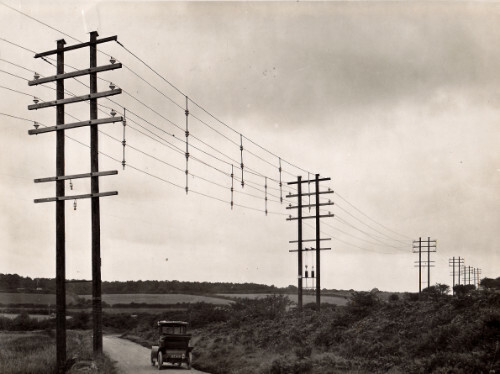 SWEHS 9.0.084.jpg – Date C1950 – Christow to Tedburn 11kV overhead line pole 153. Devon, Christow and Tedburn . SWEHS 7.1.048.jpg – Date unknown – Original steel towers finally being scrapped on the Nancledra to Heamoor (Penzance) line. Cornwall, Trevaylor Valley . … will follow in due course.